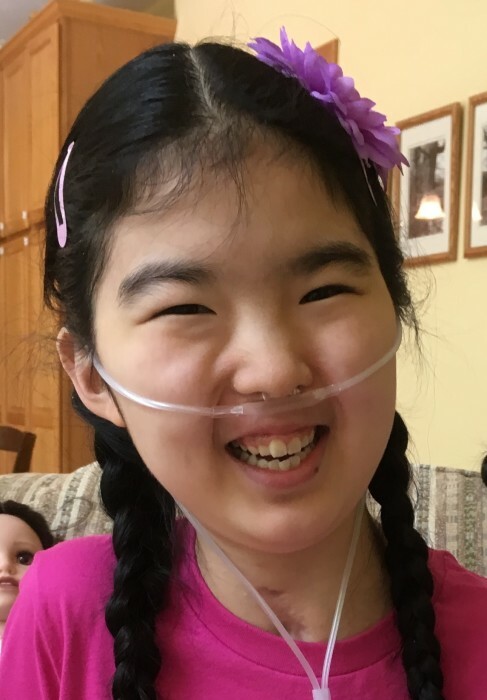 Claire Kaichen Robinson, age 14, of Paw Paw, passed away Tuesday, August 14, 2018 at Helen DeVos Children’s Hospital in Grand Rapids. She was born April 2, 2004 in Taiyuen, China. She is survived by her parents, Kelly and Rebecca (Owen) Robinson, five siblings, Ben Robinson, Tatiana Bryant, Jenny Robinson, Dan (McKalia) Robinson and Colton Robinson, grandparents, Bruce and Donna Owen, along with many aunts, uncles, cousins and friends. Claire had an infectious smile and enjoyed working outside in her garden and growing flowers. She took pride in caring for the chickens around the family home and baking various deserts. The family will receive friends on Sunday, August 19, 2018 from 4:00-7:00 p.m. and again Monday morning from 11:00 a.m. -12:00 p.m. at the Adams Funeral Home, 502 West Michigan Ave., Paw Paw. A celebration of life will follow Monday, August 20, 2018 at 12:00 p.m. the funeral home with Pastor Tim Gunderson officiating. Cremation will follow. In lieu of flowers, the family request memorial donations be made to New Day Creations.